History is filled with attempts to collect valuable minerals from the seafloor. In the 1970s, several mining consortia invested about a billion dollars (2017 dollars) to prove that polymetallic nodules could be harvested from the deep seafloor of the Clarion Clipperton Fracture Zone in the mid-Pacific Ocean. While these projects never made it into production due to poor economics at the time for the primary metals in the nodules, they did demonstrate the viability of harvesting materials from the deep seabed even using the era’s technology. Subsequent technological advancements coupled with increased metals demand and prices has led to renewed interest in recovering nodules from the seafloor. Ocean Minerals’ process leverages the work of the nodule mining pioneers and integrates today’s state of the art technology. Our system comprises a pipe lowered to near the seafloor, connected to remotely controlled vehicles that navigate the seafloor mine site to harvest nodules. Nodules are collected, screened, separated and concentrated for transfer to the production vessel as a seawater/nodule slurry via the lift pipe. Another pipe adjoining the lift pipe is used to return water back to the seafloor. 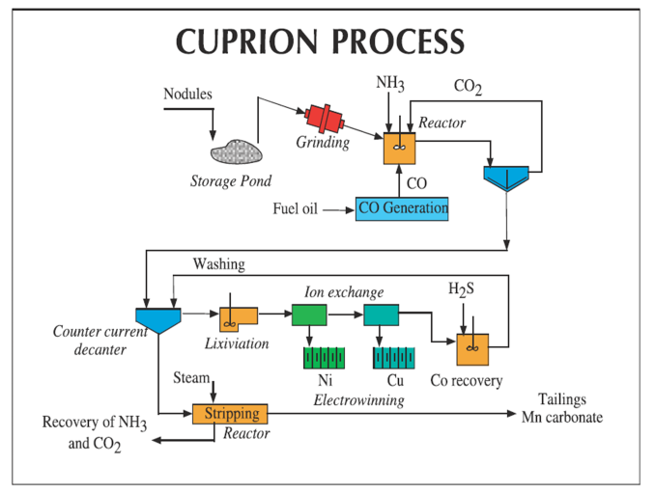 The nodules are transferred from the production vessel to transport vessels which carry the nodules to a shore-based processing site, where the valuable metals are extracted and sold on the metal markets. Deep sea mining combines technology and experience derived from dredging, deep water oil & gas, near shore underwater mining and ore and mineral process industries. In addition, the results of the last five decades of R&D for survey, sampling, and a myriad of deep water operations involving remotely operated vehicles (ROVs) and autonomous underwater vehicles (AUVs) enable deep sea mining today. As discussed here, four consortia were active in polymetallic nodule mining in the 1970s. Some of the highlights of their programs are listed. Kennecott developed and successfully tested a 1/5th commercial scale nodule harvester on the seafloor. They also dredged 200 tonnes of nodules and performed analysis and land-based test work to evaluate the lifting, dewatering, transfer and shipping and processing of the nodules. A simulation program for the airlift lift system was developed and was validated using data from large scale testing conducted by the Kennecott team. Ocean Mining Associates (OMA) conducted four tests during 1977 and 1978 of a towed “dredge head” with a hydraulic airlift pumping system. They were successful in achieving continuous production rates of up to 70 tph, and recovered over 500 tonnes of nodules. The Ocean Management Inc. (OMI) consortium successfully completed a nodule pilot mining test in 1978 using both submerged pumps and airlift for lifting the nodules. OMI recovered nearly 1000 tonnes of nodules. Lockheed Ocean Minerals Company (OMCO) from 1977-1985 designed and tested a remotely operated, seabed ocean mining system. KCON (Kennecott, Norando, RTZ, Goldfields, BP Minerals) Tested hydraulic towed collector, developed "froth flow" airlift model. OMCO (Lockheed, Amoco, Billiton and Boskalis) Tested self propelled collector with mechanical pickup. OMI (Inco, Preussag, Metallgesellschaft AG, SECO) Tested multiple towed collectors, airlift and pump tests. Closer to shore, offshore diamond mining has been conducted at commercial scale since the mid-1980s. The success of this industry provides invaluable operational experience gained by the development and refinement of these ocean mining systems that are in near continuous production. 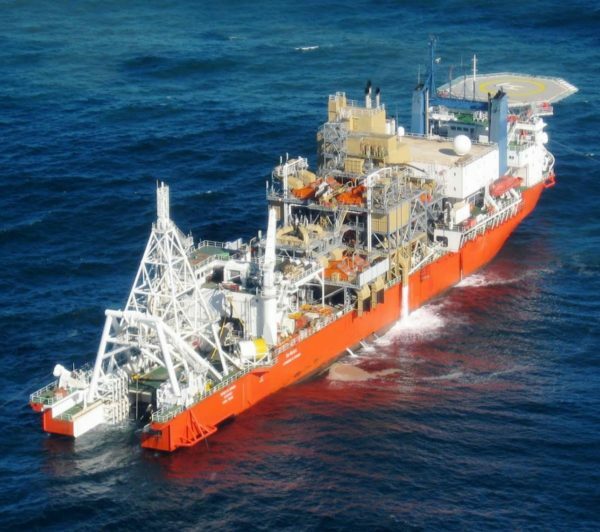 The associated lessons learned regarding operational needs, unique maintenance requirements, and logistics challenges are factored into Ocean Minerals’ deep water mining system development. All of this experience together with the advancements found today in deep water oil production, and extensive high-volume dredging provide the foundation for this project. In addition to the experience and technology available at OML and through DRT, there are several other initiatives also developing deep-water mining solutions. Most notable is the European Union funded Blue Mining and Blue Nodule innovations projects. 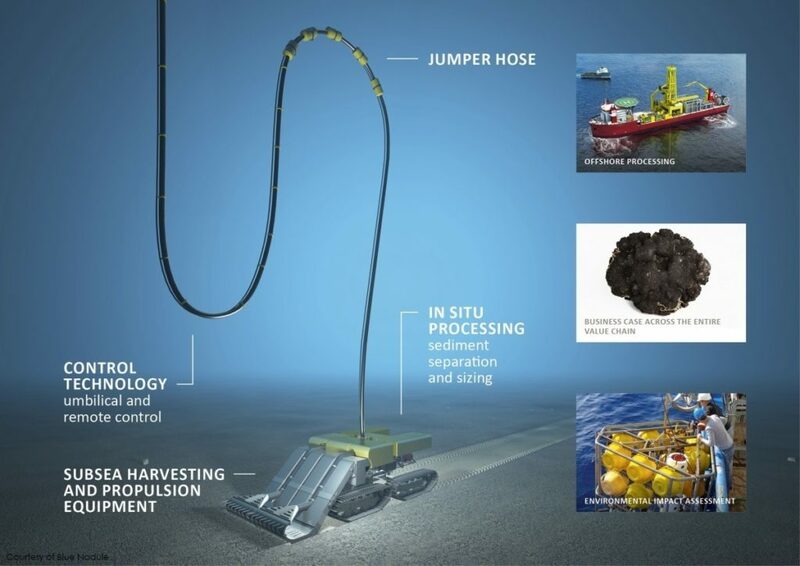 The Blue Nodule project focuses on developing technology for harvesting polymetallic nodules by a consortium of European companies including Royal IHC and Dredging International. These initiatives and the OML and DRT individuals and associates have the experience and know-how to successfully define, develop and put into production a deep ocean nodule mining system. The recovery of cobalt from nodules has been studied and several methods and tests have been completed. These include Kennecott’s Ledgemont Laboratory’s Cuprion Process, developed in the 1970s specifically for recovery of metals from polymetallic nodules, as well as High Pressure Acid Leaching (HPAL), developed for processing nickel laterites and in use in existing plants in the southwest Pacific and east Asia. Moving forward OML intends to examine both of these processes in detail to determine the most efficient and cost effective option. Our objective is to refine a process that can be incorporated into an existing land-based processing facility, thereby significantly reducing capital costs and enhancing our project economics. Initial investigations to create a list of suitable existing regional laterite facilities for consideration as potential process locations has been completed. These sites were chosen as they produce both cobalt and nickel products, with high capital cost infrastructure and residue disposal already in place.